Ian Schrager is most known for his co-ownership of Studio 54. Now, Schrager is bringing to the city Miami Beach Edition, a high-end hotel that will includes units for interested buyers as part of The Residences at Miami Beach Edition. Set to open in early 2014, the 26 high-end homes at The Residences adjoin the Miami EDITION Hotel and are located on the site of the previous Seville Beach hotel, 2901 Collins Avenue. 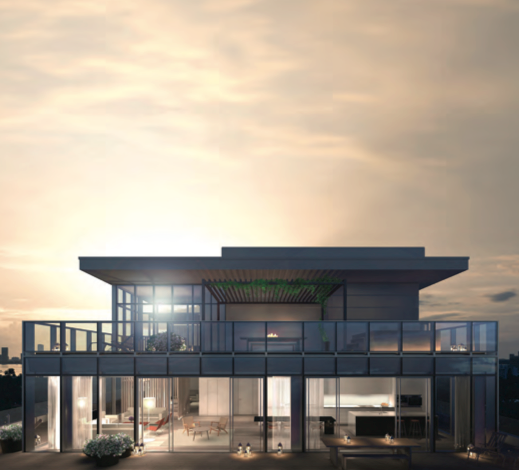 While Miami residents have become complacent about new complexes that feature nightclubs and eateries, Schrager goes a few steps further and offers an ice skating rink and bowling alley as well to ensure that no such complacency takes place. When seeking a “less-is-more” design, there is no one better than architect John Pawson. 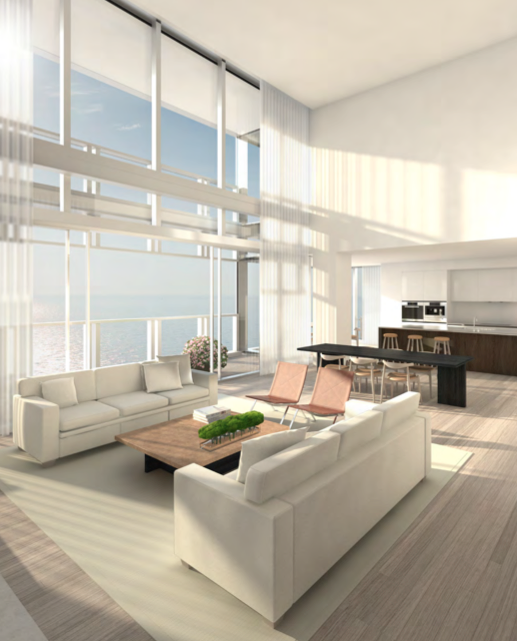 The New York Times describes Pawson as harboring an unsentimental attitude toward design, “with an almost monastic austerity.” Nowhere is this austerity better demonstrated than in the new Miami Beach Edition. The building features 11 stories with 250 hotel rooms. 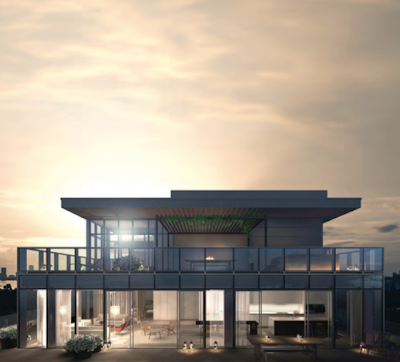 The residences take up the top two floors. 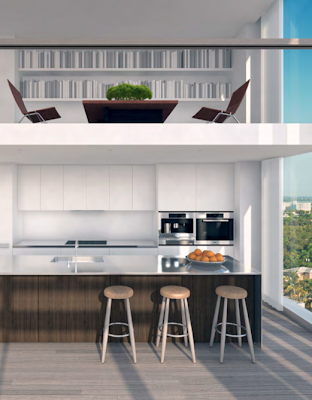 Units feature floor-to-ceiling windows and wide terraces. 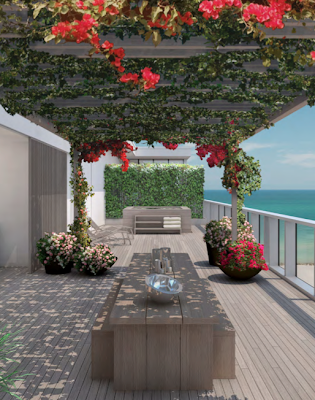 According to Schrager, quoted in the Miami Herald, homes will have from one to four bedrooms and be priced around $3,000 per square foot. Schrager is setting one aside for himself. - Interior Square Footage: 3,002 sq. 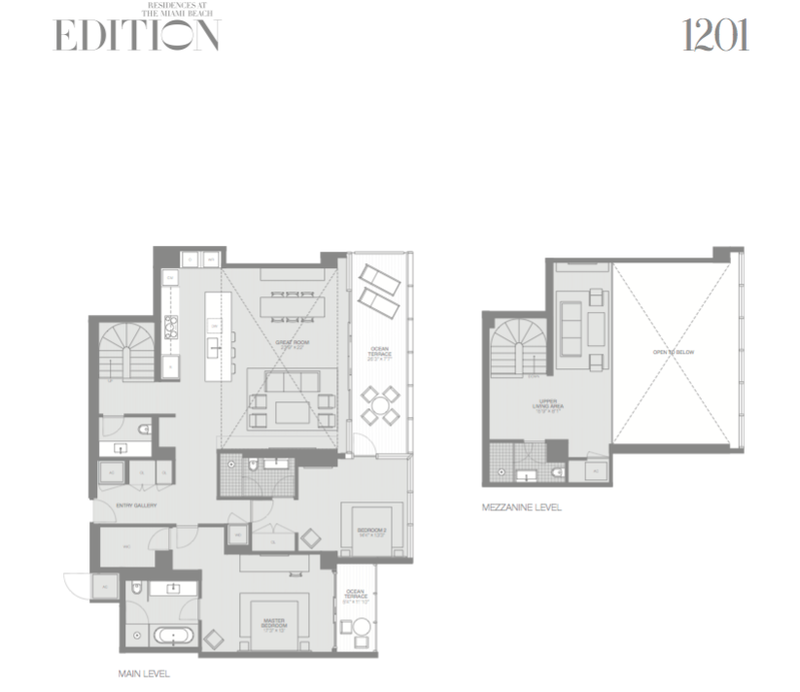 ft.
- Exterior Square Footage: 516 sq. 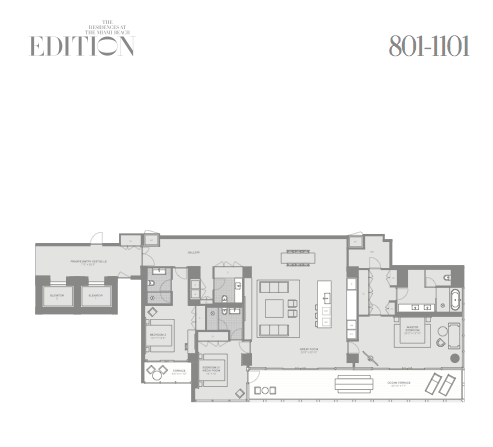 ft.
- Interior Square Footage: 1,487 sq. 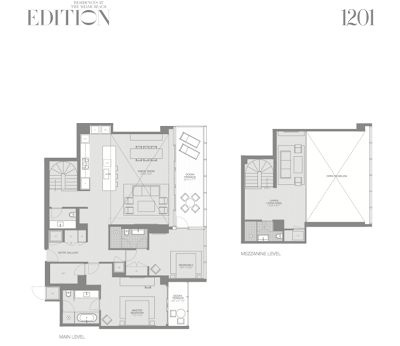 ft.
- Exterior Square Footage: 73 sq. ft.
- Interior Square Footage: 2,233 sq. 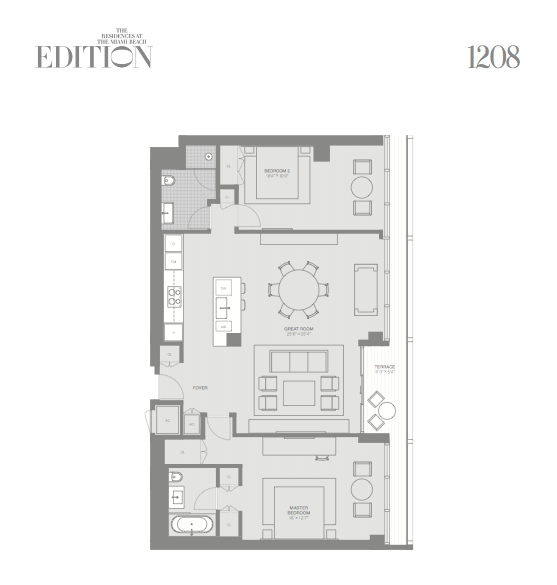 ft.
- Exterior Square Footage: 292 sq. 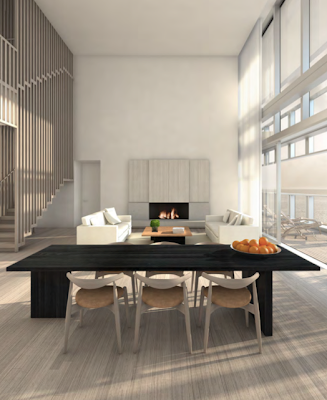 ft.
Prices range between $4 million to $8.5 million. 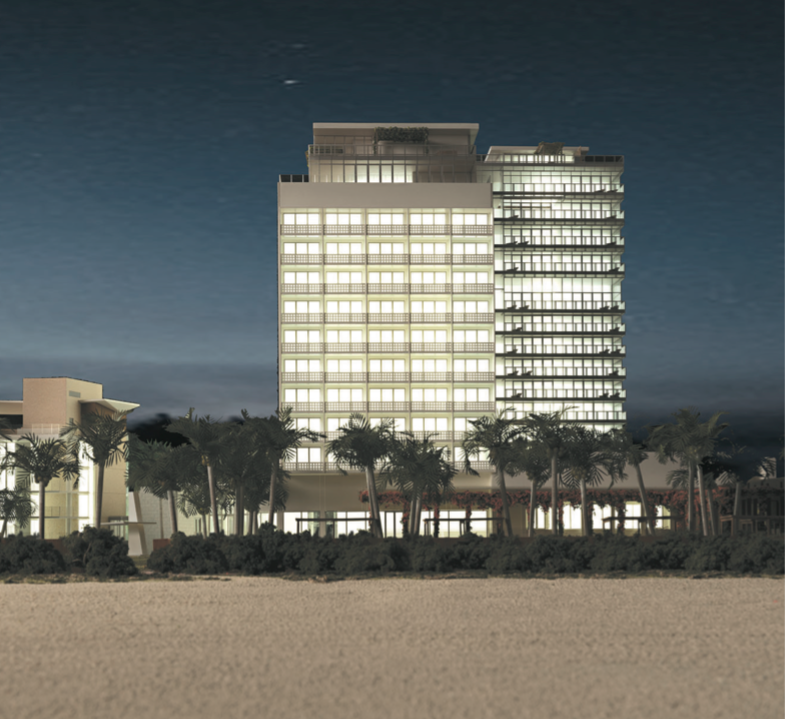 Residents will receive priority to hotel amenities, facilities and housekeeping. Units feature a John Pawson custom designed kitchen and bathrooms as well as Vola fixtures, and Miele kitchen units.